The article focuses on the process of how to add participants in LMS course. Some of the prerequisites are to have at least one course with lessons and a schedule attached to it. 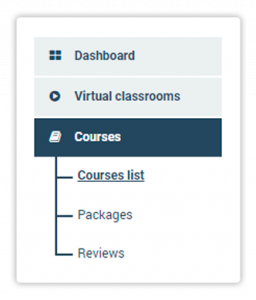 All students you want to add to a course must have accounts created on your platform first. at least one schedule for your course. Log into your Learning Management System with your Organisation / Administrator account. Click on Courses on the menu on your left-side. Look for the course where you want to add participants. Once there, click on either the Add Participants (if you want to enroll individual students) or Add Groups icon (if you want to enroll a whole group of students at once). A new window will appear, where you can select the participants/groups, and then select the Schedule for those participants. You will then see a message denoting that you’ve enrolled the participants successfully.